Shattered school windows. Empty fishing nets. Lingering scars. These striking images begin to tell the story of marginalization in Tunisia, a country confronting the painful legacy of repression and still experiencing its consequences: ongoing economic and social inequality. Marginalization affects Tunisians across generations, but has particularly pronounced impacts on young people. This has led to deepening social and generational gaps and a growing mistrust in the state among the country’s youth. 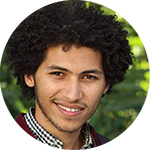 This in turn complicates the task of confronting the past in Tunisia: young people led the movements that sparked the revolution, but transitional justice mechanisms have not significantly incorporated young people’s voices. 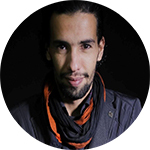 ICTJ wanted Tunisian youth to confront marginalization and reflect on its impacts in a creative way. Through training sessions and advocacy workshops, it worked together with young Tunisian photographers over several months to help them visually capture stories of economic and social exclusion, connecting marginalization in the past and the present. Today, ICTJ is proud to present the photo essays of the four participants, which comprise the exhibition titled “Marginalization in Tunisia: Images of an Invisible Repression.” The galleries are available both digitally and at L’étoile de la Médina, a cultural space in Tunis. From unique viewpoints, each photographer sought to capture the economic and social exclusion that has affected Tunisians since long before the Jasmine Revolution and continues to play a major role in the country today. Unequal distribution of resources and access to public services has led to pervasive unemployment, elevated high school dropout rates and frequent imprisonment for minor offenses. This deprivation is particularly pronounced in less economically developed regions in the interior and the south; while the country’s average jobless rate is 15%, that figure can double in those parts of the country. 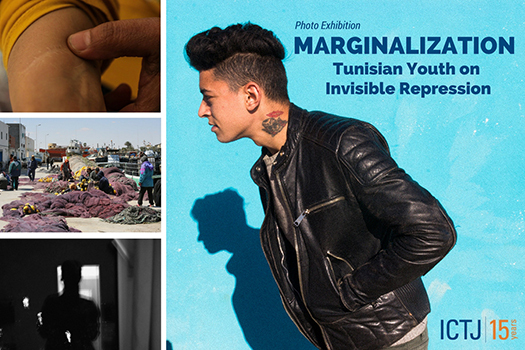 The photos presented as part of “Marginalization in Tunisia: Images of an Invisible Repression” delve into the realities facing young people and attempt to re-center conversations around the past on marginalized communities. From an intimate portrait of an older couple who defied the regime to an emotional exploration of what marginalization feels, these photo essays explore the many consequences of marginalization in uniquely powerful ways. 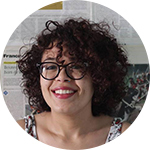 Emna Fetni, a 24-year old political science researcher embedded herself in the overlooked neighborhoods of Mhamdia and Zarhouni, located on the social and spatial fringes of the vibrant center of the capital of Tunis. The neighborhoods are home to crumbling infrastructure and rampant unemployment, but also forge tight social bonds amidst difficult circumstances. This collision of marginalization and solidarity suits Emna’s photographic interests perfectly. “Photography allows me to escape from the ugliness of the world and to grasp its beauty,” she says. Ali Jabeur, 26, captured the economic and ecological decline of the Gulf of Gabes, a region once home to a thriving fishing industry. Decades ago, the arrival of a chemical plant heralded even more jobs to the region, but over the years the plant’s pollution devastated the gulf’s marine life – and the local economy. Unemployed fishermen are angry with a state that ignores the consequences of pollution and its impact on their livelihoods. Ashraf Gharbi, a 24-year old activist and student based in Tunis, photographed Kamel Taghouti and Najet Baccouche. An older couple, Taghouti and Baccouche face a litany of challenges due to their opposition to Tunisia's dictatorships. Taghouti was a commander in the Tunisian army when he refused to open fire on civilians during a general strike in 1978. He was discharged for his refusal and subject to persistent harassment from state security forces ever since. His wife Baccouche is a writer who published her first book, “The Rise of the Vacuum” in 1996. After publishing the book, she faced beatings at the hands of state forces which left her with serious health problems. Nedra Jouini, a 25-year old researcher and engineer, sought to capture a deeply personal experience of marginalization and its impact on the young. Her claustrophobic images convey the sense of dread and isolation she says is the result of economic and social exclusion. PHOTOS: High School Zahrouni (Emna Fetni); Gabes fisherman (Ali Jabeur); Najet Baccouche's scar (Ashraf Gharbi); Glass reflection of a silhouette (Nedra Jouini).